Last modified on November 15th, 2018 by Joe. This tutorial is to help you learn chart view by developing an Android chart example APP using the library MPAndroidChart. 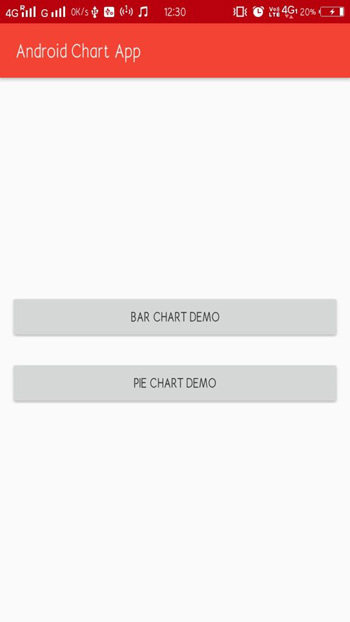 It is a free Android chart view / graph view library using which you can draw line, bar, pie, radar, bubble, candlestick charts. There are times when we deal with large datasets. In those scenarios, it is quite useful to use charts and graphs to get visual representation of data. In Android world, charts can be easily built using various libraries. MPAndroidChart also supports scaling, dragging and animations. It is a popular library available via GitHub. Earlier I have published another tutorial for creating Android APPs with chart using AndroidPlot, you can refer that for alternate library. 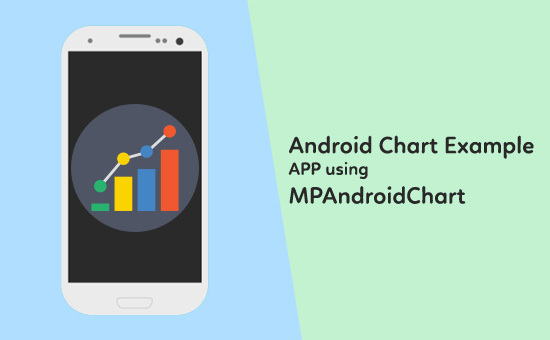 In this Android chart example tutorial, I will demonstrate how to use MPAndroidChart library by building a demo Android App. We’ll create an example Android chart application which will display year wise strength of employees in an organization. Also, we will build a bar and a pie chart of same data. In this Android chart example, we will need two separate activities, one for Bar Chart and one for Pie Chart. In the main Android activity we’ll add two buttons. On button click we’ll be directed to the respective activities. Now click on ‘Sync Now’. We have added library in our application successfully. Lets Build Layout of our Android app. Now create a new empty activity and name it BarChartActivity. Add the following code in layout file of BarChart activity. Create one more activity for Pie chart and name it PieChartActivity. Paste the following to pie chart layout file. Now lets code the java files. Here, we will add two buttons. We’ll set clickListeners to button and use Android Intent to launch next Activity. We need to add data to the example Android charts. For that we will use two ArrayLists, one for year(x-axis) and another for number of employees(Y-axis). To pass data to the Android chart example we’ll need a dataset, where we will pass ArrayLists as argument. 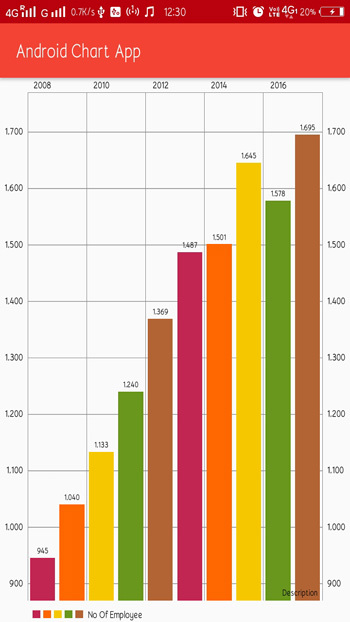 MPAndroidChart library support various features which make Android charts attractive and appealing. To add colours to bars, i have used setColors method. To add animation, i have used animateY(). 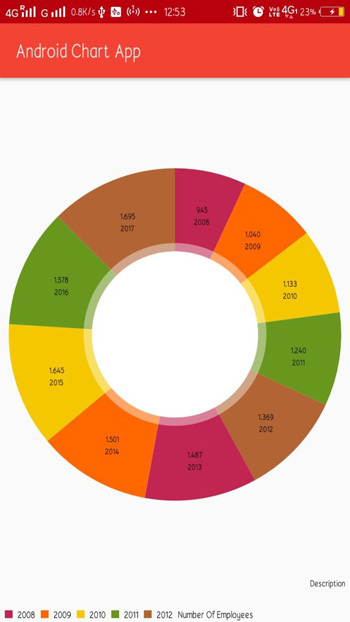 Code for Android pie chart is almost same to that of bar chart. Here, again we’ll use two ArrayLists and a dataSet. We’ll add animation and colors too. Now lets run and test the application. Comments on "Android Chart Example APP using MPAndroidChart"
Hi. Thanks for Great article. what if i want to change shape of barChart to rounded bar chart? We can expect it anytime soon. Comments are closed for "Android Chart Example APP using MPAndroidChart".